Travel Guide To Zurich For Muslim Travellers – Explore Switzerland! 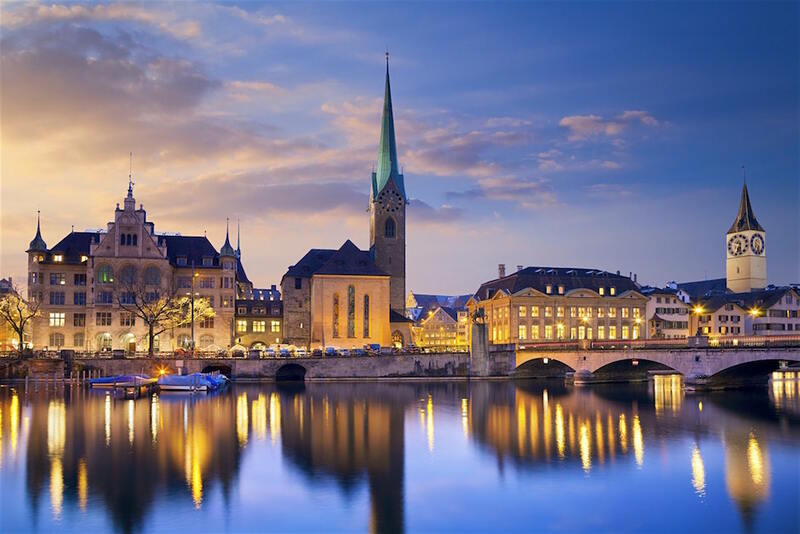 Zurich is a gorgeous holiday destination in Europe, longed to be visited by many travellers. This stunning city in Switzerland is famous for the beautiful view of the snow-capped mountains, scenic lake, and green parks. If you are having a Halal vacation in Zurich soon, then you will find this travel guide to Zurich for Muslim travellers to be super useful. Let’s read on and make it your travel buddy during your trip to Switzerland! Zurich is one of the ideal Muslim friendly cities in Europe that you can visit during your long holiday. It offers stunning natural views of its mountain and lakes, vibrant city life with the art galleries and museums, as well as fun shopping experience. However, before you depart to Zurich, make sure you equip yourself with some of this important basic info. We’re sharing them in this travel guide to Zurich for Muslim travellers. The best time to visit Zurich is during the summer season, which is between July and August. However, it is also the peak season. So, your Swiss vacation can get a bit expensive during this time as the prices of hotels will rise in these months. 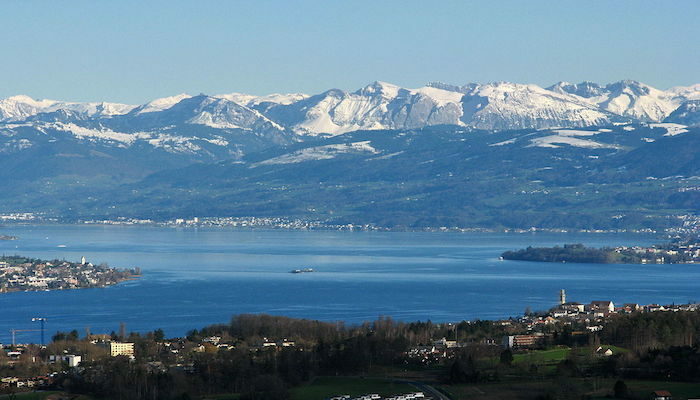 It is also ideal to visit Zurich in the winter season, especially if you are a big fan of skiing or snowboarding. Hotels remain to be expensive during this time since the city is close to Swiss Alp’s ski slopes. Switzerland is using Swiss Franc (CHF) as their currency. Take note that they do not use Euro currency. US dollars are also not prevalently accepted here. So, make sure you stock up enough Swiss Franc! The main language in Switzerland is German. Some do speak English, Italian and French. Finding Halal food in Zurich is not that difficult, especially in the city centre. You can find several Halal doner kebab stalls in the city. After landing at Zurich Airport (ZRH), you can take the train from the airport to reach the city centre. The journey takes about 10 to 15 minutes. The best way to get around in the city is either by foot, bicycle or tram. There are several spots in the city where you can borrow a bike to tour the city. You simply need to prepare about 20CHF and the deposit will be given back when you return the bike on the same day. You may also choose to use Zurich’s efficient tram system or get an Uber. Try to avoid taxis as they are quite expensive. Now that you have prepared yourself with some important info on Zurich, it’s time to plan for your Halal Swiss holiday. 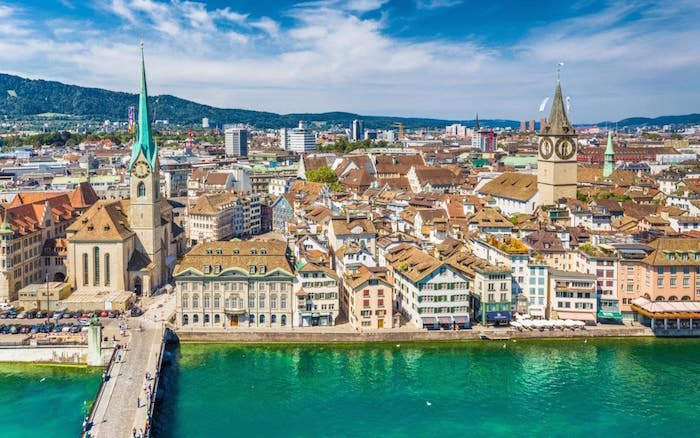 In this travel guide to Zurich for Muslim travellers, we will share with you some of the top Muslim friendly hotels that you can book for your holiday! 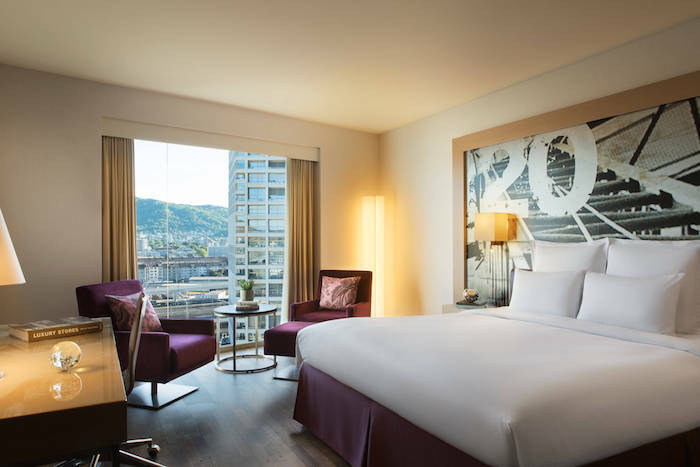 One of the best Muslim friendly hotels in Zurich for you to book is Renaissance Zurich Tower Hotel. This five-star hotel is located in the west part of Zurich. It offers a beautiful view of the city, luxurious hotel rooms, and it is also strategically located near many attractions as well as Halal restaurants! This is another Halal friendly hotel in Zurich that you can pick for your vacation. Placid Hotel Design & Lifestyle Zurich is a newly built hotel (2016) that has a timeless and contemporary interior design. The guest rooms are nicely furnished and they are also spacious. Here, you can pick their vegan or vegetarian breakfast meals. Hotel Glärnischhof is also one of the Muslim friendly hotels in Zurich that is ideal for Muslim travellers. It is a perfect option for you if you’d love to stay near the lively shopping street of Bahnhofstrasse. Since it is located in the heart of the city, you can easily walk to the nearby attractions! Besides knowing where to stay while having a holiday in Zurich, you should also be ready with a list of Halal restaurants in town. It’ll make your trip to Switzerland more pleasant. As you will see in this travel guide to Zurich for Muslim travellers, finding a Halal food is not that difficult. Let’s check out some of the best restaurant options for Muslims in Zurich. Yalla habibi is another top Halal restaurants in Zurich that serves authentic Lebanese food. Here, they serve one of the best Halal lamb kebabs and veggie mezze! 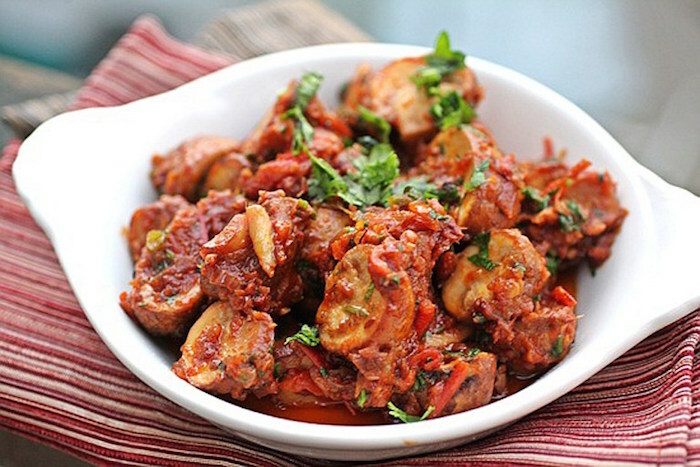 The price at this restaurant is also very affordable and you will surely enjoy dining in this cozy restaurant. How about having a scrumptious and flavorful beef rendang in Switzerland? Yes, you can get it at the Halal Malaysian restaurant in Zurich called My Kitchen. This is the best dining place for Muslim travellers who would love to enjoy Asian meals like chicken curry and rice, Roti Canai bread and curry, and lemongrass chicken! From classy designer boutiques to breathtaking Old Town, there are so many fun places that you can visit while in Zurich. It has a lot of things to offer to the visitors, apart from being the world’s global finance and banking centre. In this travel guide to Zurich for Muslim travellers, we will share with you some of the must-visit attractions. Lake Zurich is one of the famous places to visit in Zurich, especially in the summer. The view of the lake is absolutely amazing. Don’t forget to bring your camera when you are visiting this popular lake. Besides taking photos, you can also enjoy the mountain view, boating or swimming! Zurich is home to several high-end brands such as Tag Heuer and Patek Philippe. 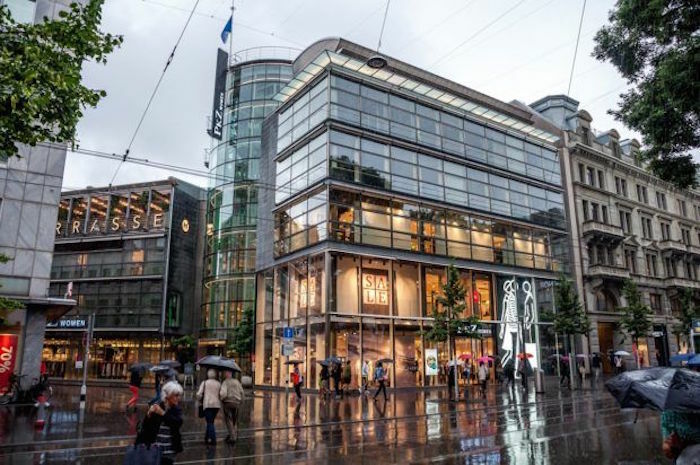 The best place for you to shop while in Zurich is at the vibrant shopping area called Bahnhofstrasse. Here, you can find many local and international boutiques. Bahnhofstrasse is also known to be the world’s most expensive shopping avenue! Do you know where you can go to get a clear view of the Zurich city? 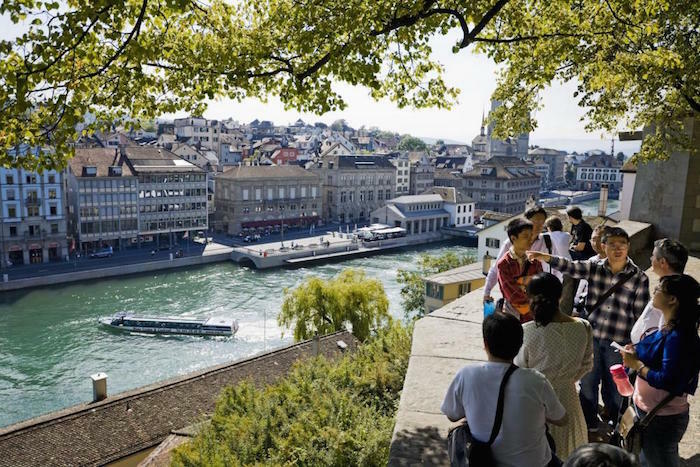 Head over to Lindenhof Hill that is located in the central area of Zurich. You will find a public square in this hilltop area and from this place, you can see the Old Town, Limmat River, and Zurich City Hall! 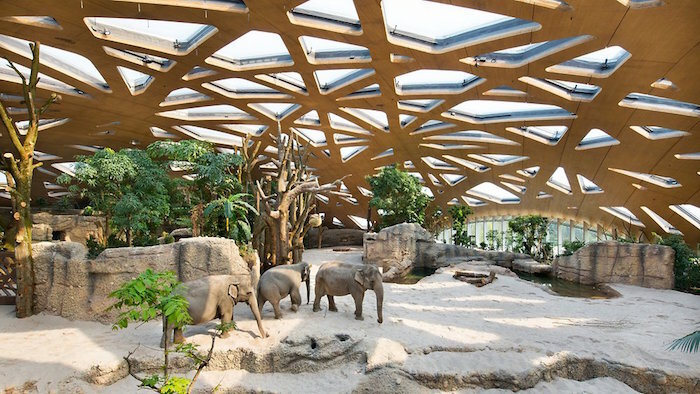 This is something for your kids to enjoy – visiting the famous Zurich Zoo. it is home to over 350 species of animals and is a must-visit place in Zurich for animal lovers! Elephants, camels, lemurs, and yaks – you can see them all here! You will also enjoy visiting the Masoala Hall, which is a man-made rainforest. Zurich has quite a number of museums in the city. 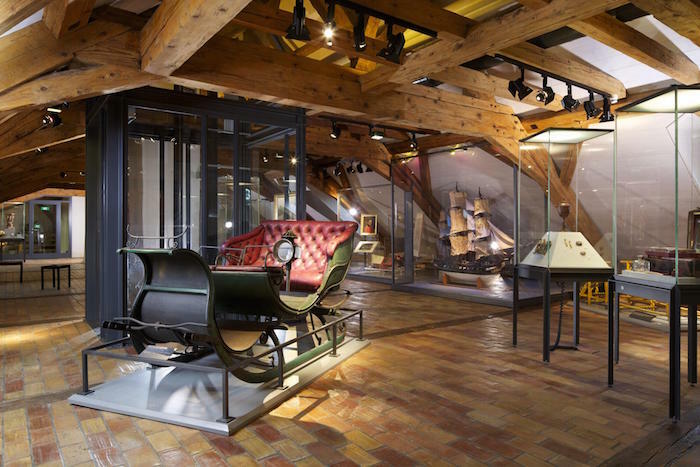 One of the popular museums in Zurich is the Swiss National Museum. This is the best place to learn the history of Switzerland. Also, you can look at a huge collection of local and religious artifacts. It is strategically located right next to Zurich’s main station. Travel guide to Zurich for Muslim travellers – create a beautiful memory in Zurich! Switzerland is indeed a very beautiful country in Europe. As the largest city in Switzerland, Zurich is ideal to be visited in both summer and winter. Use this travel guide to Zurich for Muslim travellers as your guide during your Halal holiday in this beautiful city.